Hood River, OR, WPH Press, 6/5/17- The 3rd Annual Hood River Invitational was held on June 3rd in Hood River, Oregon. The HRI has taken the place of the now defunct Hood River Pro Am tournament. In the absence of the Pro Am event, the Stenberg family stepped up to start a new annual tradition. 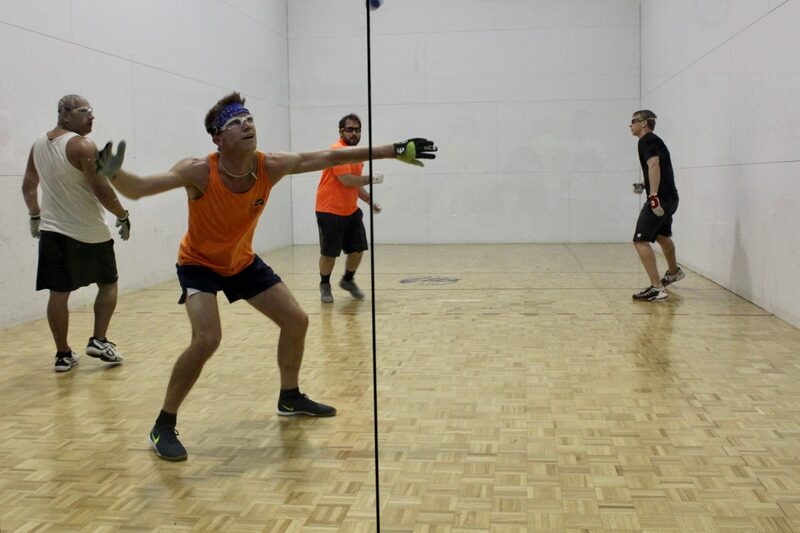 Thanks to the efforts of brothers Michael, Stephen, Philip, and Andrew Stenberg, the Hood River handball scene has grown significantly over the past three years, and the success of the HRI is their crowning achievement. The Hood River Invitational is a philanthropic event, and this year the beneficiary was Evan Sowa. Evan is a two-year old from the Hood River area who was born with VSD, a heart condition involving a hole between the ventricles, as well as a narrowing aorta. Evan has received the treatment needed to repair the problems, and took his first steps on his 2nd birthday in March of this year. However, the last two years have been an expensive and trying time for Evan’s family, so the Stenbergs decided they wanted to help. 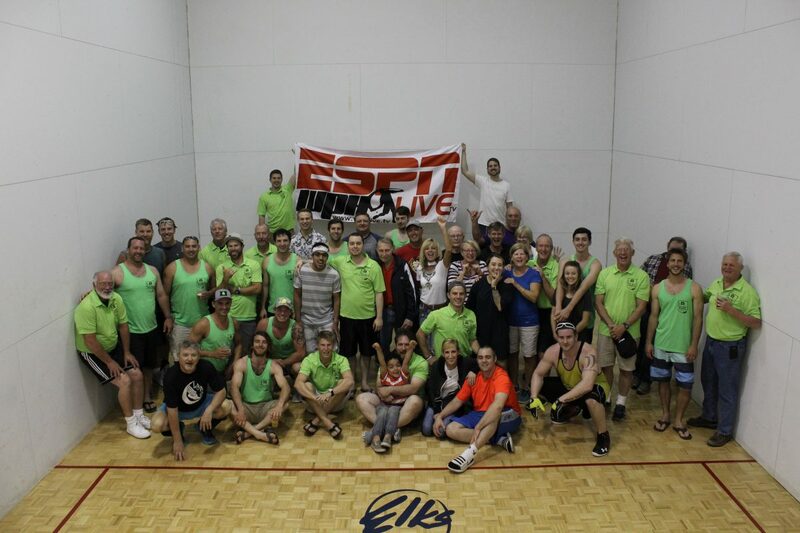 Over forty handball players from Oregon, Washington, and even Nevada and Alaska came out to support the Sowa family and play handball. With the tournament expenses covered by many generous sponsors from the Hood River area, the Stenbergs were able to combine the entry fees, donations, and proceeds from a raffle and silent auction and donate over $3000 to the Sowa family. 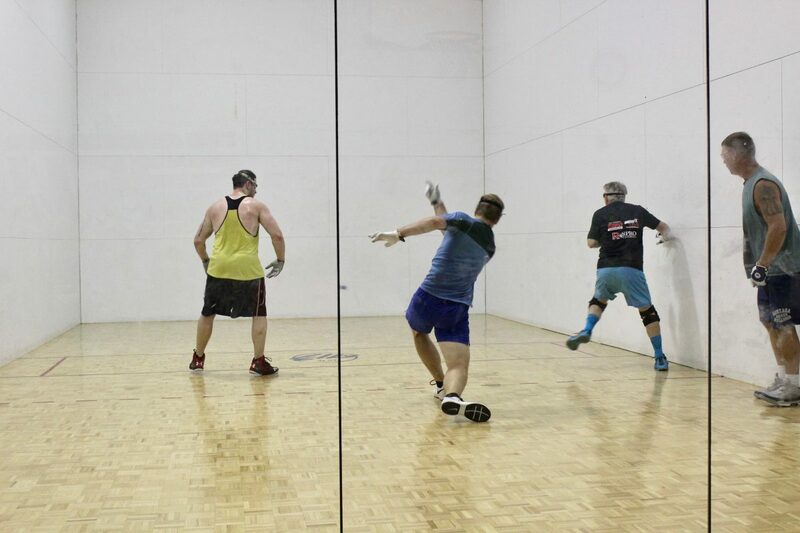 Though the handball tournament officially started on Saturday morning, many players traveled to Hood River on Friday afternoon for some one-wall handball at Oak Grove Park, along with a great barbecue. The weather was beautiful and players competed on the two one-wall courts from 3pm until after 9pm. On Saturday morning the Hood River Invitational officially kicked off with a tremendous rendition of the National Anthem performed by Kyle English of Portland. 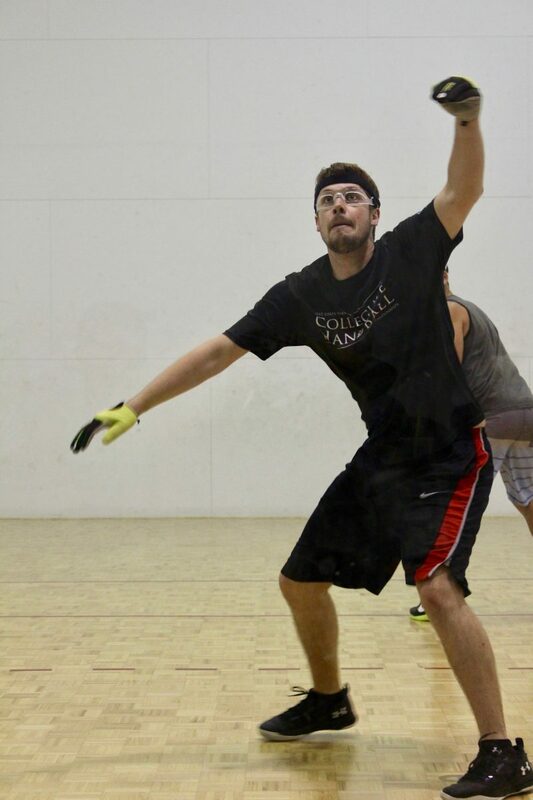 In the Division 2 final, Ken Starcher (Bellingham, WA) and Steve Lawrence (Ashland, OR) teamed up to defeat Dan Kersey (Eugene, OR) and Jack Marsh (Portland, OR) by a score of 15-13 in a contentious one-game match. It’s worth noting that although Jack Marsh was by far the oldest participant in the tournament at 82 years of age, he still enjoys frustrating his opponents with off-speed banker serves and underhand dump kills in the corners, and held his own against his “younger” opponents in the final. The Division 1 final saw former WPH R48 top 10 pro Aaron Garner (Portland, OR) paired with Ron Lampe (Eugene, OR) to face Kyle English (Portland, OR) and Steve Grow (Portland, OR). Garner/Lampe started off hot, taking the first game 15-4. Game 2 was much closer, and it appeared to the crowd that Garner suffered a bone bruise on his right hand, which forced him into taking more defensive shots. English/Grow took advantage of this change of pace and closed out the second game 15-11. The tiebreaker saw the most intense handball of the tournament, with all four players diving for shots resulting in numerous 40+ shot rallies. English wound up serving for the match at 10-9 and scored the 11th point with a huge reverse serve that hopped away from Garners reach. Congratulations to the tournament winners for their success, and thank you to all the sponsors, participants, donors, and the WPH for promoting the tournament. Most of all, thank you to the Stenberg family for putting on a magnificent event! Special thanks to WPH ambassador and correspondent Nick Flores for the tremendous coverage from Hood River!